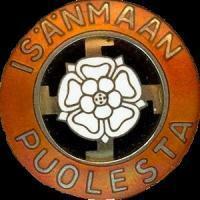 does anyone know if there are for sale order of the Lion of Finland or order of the White Rose of Finland with swords? Let me know if you know. The only lion order with swords that I know of is the one at Prenikka. But I suppose you already know of that one. But since most of the orders with swords was awarded to foreigners, mostly germans (at least according to the lists I have), I believe the best place to find one is in Germany. I guess you only have to wait and watch the coming auctions and keep your fingers crossed. But you might get some competition…. Yes, that one in prenikka I know. How much would you pay for a set (Breast Star + decoration)? Hi, I wrote you message. There is one for sale on Huuto now.